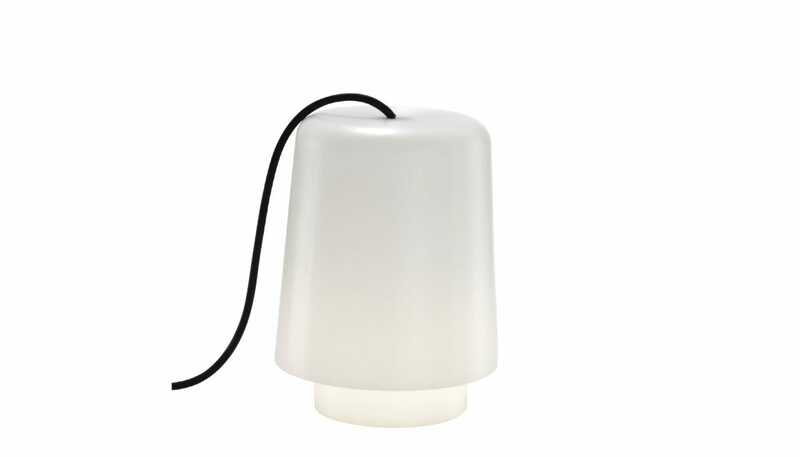 The ARIANE OUT light makes it possible to create an arrangement of points of light outdoors, either by using the (optional) hook or by looping the flex over a branch or even resting it on the ground or on a table. Shade in rotomoulded polyethylene (PE). Cylindrical diffuser in rotomoulded polyethylene.